According WIKIPEDIA, TRENDS MAGAZINE is the leading economic magazine in Belgium. FROM HET ZOUTE TO MIAMI BEACH : SURFER ON THE WAVE. 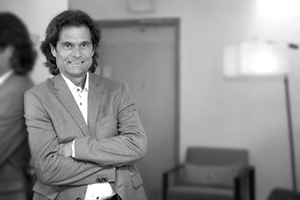 Excerpt from the article of Philippe Coulée “Positive ratings for double return products” appeared in Trends Tendances of 11/10/2012. 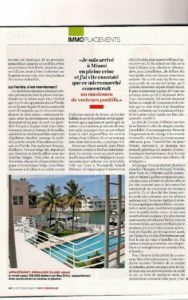 At the same time an article dated September 22 th appeared in full in the French daily L’Equipe entitled,: « Is it time for Florida, now ? ». It announces that apartment prices are on the rise there and this since 13 consecutive months before reminding that the American Dream has trumps that are very real, especially fiscal trumps, for European investors with (some) cash. The French daily quotes Jean-Marc Goossens, lawyer at the bar of Brussels, specialized in Amercian real estate law (legislation, taxes, setting up companies) on behalf of French investors in Florida. Not only French, by the way: the Belgian lawyer functions as Family Officer for Belgian families, affluent or less so, who are a bit disappointed by the Belgian meteorological and economical climate. He has by the way a solid address book in the The Zoute area, where he made the biggest succes of his life buying a beautiful apartment that has rapidly quadrupled in value. “At that moment, I said to myself, together with my friends: why didn’t we buy the entire street? Well, you see the same thing happening in Miami now. And you don’t want to miss out on an opportunity twice…”, he explains. The almost total absence of new developments since three years has grown local demand and has caused prices to rise. And real estate projects resume in large numbers : we’re talking about 10 billion dollars worth of construction sites over a mile scarcely five years from now. And for the investors who want a return over 4% and an even faster return on investment, in the order of 11%, you have for instance Nevada and Las Vegas : the prices there have dropped even lower than in Miami, there is no income tax either and the Property Tax doesn’t exceed 1%”, Jean-Marc Goossens resumes by way of example.